These questions are popularly called the abba series questions. You have to understand the pattern of the series and determine the missing characters. Answers to all the questions have been provided along with complete solutions. Go through these sets of questions if you are preparing for entrance exams like the Bank PO, GATE, SSB, SSC and similar exams that test your mental ability skills. This is the list of posts immediately inside this category. Click on them to read the posted article. We have added all types of articles ranging from general informational content to online test examination quizzes and questions. These questions are popularly called the ab series questions. A series of lowercase English characters is given. Some of the key characters of that series are removed and an underscore dash is shown in their place. You have to understand the pattern and determine the missing characters. Answers to all the questions have been provided along with complete solutions. These questions are popularly called the abba series questions. You have to understand the pattern of the series and determine the missing characters. Answers to all the questions have been provided along with complete solutions. Answers are accurate. Go through this series if you are preparing for exams like the Bank PO, GATE, SSB, SSC and similar exams that test your mental ability skills. This is quiz no. 1 in this series. These questions are popularly called the abba series questions. You have to understand the pattern of the series and determine the missing characters. Answers to all the questions have been provided along with complete solutions. Answers are accurate. Go through this series if you are preparing for exams like the Bank PO, GATE, SSB, SSC and similar exams that test your mental ability skills. This is quiz no. 2 in this series. These questions are popularly called the abba series questions. You have to understand the pattern of the series and determine the missing characters. Answers to all the questions have been provided along with complete solutions. Answers are accurate. Go through this series if you are preparing for exams like the Bank PO, GATE, SSB, SSC and similar exams that test your mental ability skills. This is quiz no. 3 in this series. These questions are popularly called the abba series questions. You have to understand the pattern of the series and determine the missing characters. Answers to all the questions have been provided along with complete solutions. Answers are accurate. Go through this series if you are preparing for exams like the Bank PO, GATE, SSB, SSC and similar exams that test your mental ability skills. This is quiz no. 4 in this series. These questions are popularly called the abba series questions. You have to understand the pattern of the series and determine the missing characters. Answers to all the questions have been provided along with complete solutions. Answers are accurate. Go through this series if you are preparing for exams like the Bank PO, GATE, SSB, SSC and similar exams that test your mental ability skills. This is quiz no. 5 in this series. These questions are popularly called the abba series questions. You have to understand the pattern of the series and determine the missing characters. Answers to all the questions have been provided along with complete solutions. Answers are accurate. 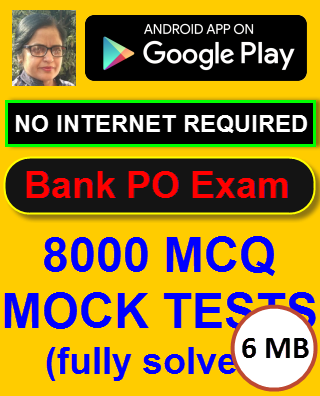 Go through this series if you are preparing for exams like the Bank PO, GATE, SSB, SSC and similar exams that test your mental ability skills. This is quiz no. 6 in this series. These questions are popularly called the abba series questions. You have to understand the pattern of the series and determine the missing characters. Answers to all the questions have been provided along with complete solutions. Answers are accurate. Go through this series if you are preparing for exams like the Bank PO, GATE, SSB, SSC and similar exams that test your mental ability skills. This is quiz no. 7 in this series. These questions are popularly called the abba series questions. You have to understand the pattern of the series and determine the missing characters. Answers to all the questions have been provided along with complete solutions. Answers are accurate. Go through this series if you are preparing for exams like the Bank PO, GATE, SSB, SSC and similar exams that test your mental ability skills. This is quiz no. 8 in this series. These questions are popularly called the abba series questions. You have to understand the pattern of the series and determine the missing characters. Answers to all the questions have been provided along with complete solutions. Answers are accurate. 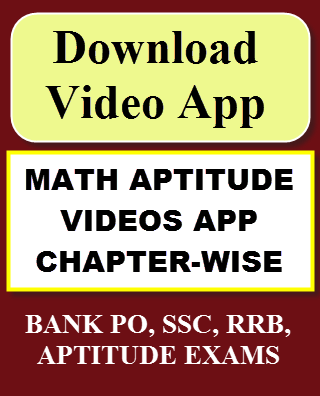 Go through this series if you are preparing for exams like the Bank PO, GATE, SSB, SSC and similar exams that test your mental ability skills. This is quiz no. 9 in this series. These questions are popularly called the abba series questions. You have to understand the pattern of the series and determine the missing characters. Answers to all the questions have been provided along with complete solutions. Answers are accurate. Go through this series if you are preparing for exams like the Bank PO, GATE, SSB, SSC and similar exams that test your mental ability skills. This is quiz no. 10 in this series. These questions are popularly called the abba series questions. You have to understand the pattern of the series and determine the missing characters. Answers to all the questions have been provided along with complete solutions. Answers are accurate. Go through this series if you are preparing for exams like the Bank PO, GATE, SSB, SSC and similar exams that test your mental ability skills. This is quiz no. 11 in this series.